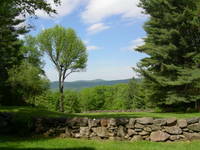 Just back from holidays and missing the view, pictured here, from the porch in Vermont where we sat around all day long reading. If you've time try these garden related books - a US bias but each a good read. The Earth Knows My Name: Food, Culture and Sustainability in the Gardens of Ethnic Americans, Patricia Klindienst. This Common Ground: Seasons on an Organic Farm, Scott Chaskey. Driven off the allotment by bad weather last weekend, I went home, brewed a mug of tea and pulled Beeton's All About Gardening from the bookshelf. It's a dictionary of gardening with some nicely coloured illustrations. My copy is undated but it's probably from the 1890s or early 1900s judging from some of the entries. I was struck by the extraordinary range of potato varieties listed by various seed companies - many more than appear in modern day catalogues. That's if you could be sure that Ash Leaf Kidney was different to Ash Top Flake in anything but name. But one thing for certain is that catalogue writers, then as now, are not shy about being foreward in their descriptions. So Magnum Bonum was an 'enormous cropper of high quality and almost free of disease'. Early Puritan was of 'great excellence, vigourous constitution and very productive'. Best of All had few equals as a cropper, very free from disease and excellent when cooked. 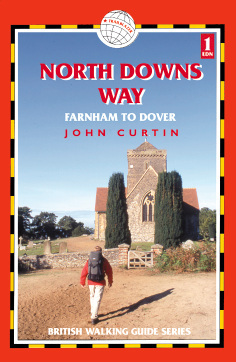 I've just received advance copies of my book, North Downs Way. Not garden related, I know, but I'm guessing that a lot of you are outdoorsy types. If you follow the route keep a look out for my allotment which you might just glimpse from the ridgeline! You can read an excerpt and find out more about Trailblazer here and, end of advertisement, it's available on Amazon or support your local bookshop. Praise for Paul Waddington's 21st Century Smallholder:From Windowboxes to Allotments - How to Go Back to the Land Without Leaving Home came from an unlikely source this weekend in the FT Magazine. In the magazine more usually containing reviews of 'everyday' drinking wines for £15 and £90 lunches for two without wine, the book, Edi Smockum, writes; " offers exactly what it says on the cover - a straightforward guide to planting your own food whether you have just a balcony or a few acres on which to raise pigs, bees and chickens. You can't help but buy a packet of lettuce seed and get planting."